A list of games (new and old) that I'd like to play at BGG.con this year (2013). I've tried to put them in some order of priority. Last year, I included a ton of games and this year I have tried to keep the list size down a bit with the idea that I will play all (or at least most) of these games. 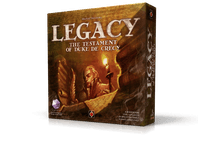 I will edit this list leading up to BGG.con. 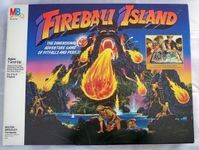 I played 10 of the 15 listed here at (or before) BGG.con. I'm a big fan of Mac Gerdts. I like the way he puts his games together and I look forward to giving Concordia a try, assuming it is available at the convention. I've been down on Feld lately. 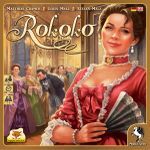 Bora Bora is fine, but it isn't amazing and Rialto and Bruges were duds for me. 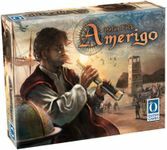 I'm not sure what to think of Amerigo, but I think it'll be decent. If it isn't, I may lose all trust in Feld. Sounds fairly simple and interesting with a deck-building element. The buzz has been pretty good and I look forward to trying it out. 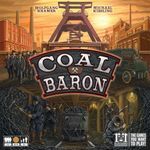 Did Knizia finally produce another quality game with some substance? I doubt it, but I hope so and I think I'll be willing to check it out. It's Kiesling and it's Kramer and the initial word seems to be pretty good... let's find out. This buzz was very good on this game before it was released. Since then, it seems to have cooled quite a bit. Nonetheless, I've seen how it works and I want to give it a whirl. I don't know too much, but looks pretty nice, sounds interesting and some positive comments out there. 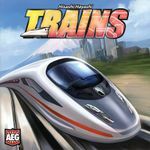 I was told I should check it out and it looks very good... not a super-heavy rail game from which I would normally steer clear. I looked and I'm intrigued enough to want to try this one. Alright... this one looks pretty darn interesting and I'd like to see it in action at the con. Hopefully, I can give it a try. I tend to enjoy some of the simpler and well-designed Japanese games... maybe this is one of them. Castle Panic with the expansion has gone over really well with my kids. Perhaps Dead Panic will work too. I hope to try it soon. I don't know a lot about this other than it's from Cramer and an "interesting twist on deck-building." That's enough to get me interested so that I'll try it. Here's to hoping that I can, once again, masterfully out-think my fellow southern Wisconsinites in a rematch of this brain burner. I still have not played Eclipse and feel like, as a gamer, this is one I need to try. What better place to play it than BGG.con?